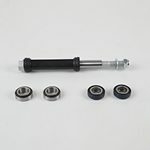 Connecting rods with improved design that guarantees a safer coupling of the stabilizer bar to the entire suspension assembly, actively contributing to the entire steering path. Ergonomic arms that allow you to adapt more securely to both the wheel and the body, keeping them together. The rigidity of the material (molding, forging or aluminum) allows the wheel to define its position relative to the body and transmit part of its efforts. 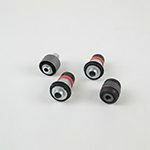 Selection of bushings that support the wheel and enable it to rotate on its axis. Moreover, thanks to the great flexibility of the materials, they reduce the wearing, the noise and the vibrations that this activity generates. 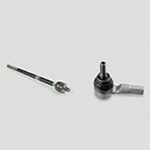 Metalcaucho bushings meet the most restrictive dimensional tolerances. Large selection of boots with high flexibility and resistance able to protect the most delicate organs of the direction and the transmission of external agents such as dust or mud. 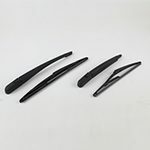 Large selection of rubber for the bar stabilizer that, thanks to the quality of the material and the improved design, allows the rotation of the bar and eliminates all the vibrations and noises that this may cause. 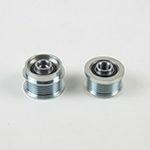 Series of bearings that ensure free rotation of the damping support. 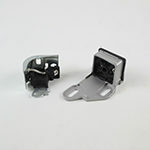 Metalcaucho supplies them in the form of a kit or by piece. 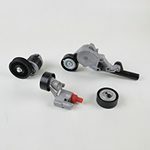 Improved spherical joints that allow both the vertical and rotary movement of the suspension and, therefore, of the steering wheels. 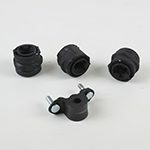 Thanks to their design and manufacturing, these new ball joints consist of greater resistance to stress and use. 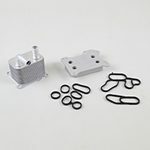 Wide choice of silentblocks that, thanks to the combination and quality of metal and rubber, absorb the vibrations and possible noise that motor and suspension system can be subjected to. 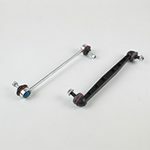 Wide variety of shock absorbers whose ergonomic design allows you to hook both the suspension shock absorber and the body, keeping both properly attached. 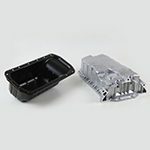 In addition, these mounts strenghten the impact between both, reducing the vibrations and noise that can be caused. 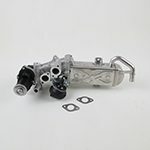 Wide range of engine and gearboxes supports that keep the engine attached to the frame and prevent it from moving while driving. 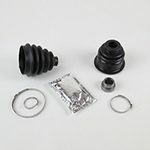 Moreover, thanks to the quality of the rubber that they are made of, it absorbs the impacts and vibrations generated by the entire engine block, making driving much more pleasant. 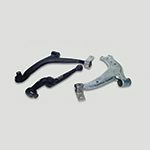 Suspension supports set that ensure the continue suspension and prevent it from stopping, thus braking excessive compression of the system. 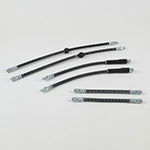 Furthermore, these caps prevent abrupt contact between the parts such as the suspension arm and the body. 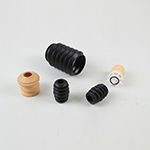 Wide range of watertight bottles that not only serve as a refrigerant tank but are also responsible for eliminating overpressure and vacuum occurring in the radiator. Selection of heat exchangers or oil coolers which, thanks to the outdoor air and the cooling water around them, maintain a favorable temperature for the correct lubrication of moving parts. Here you will find the exchangers that take better care of the thermal balance of your engine. 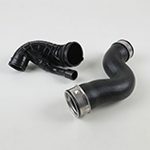 Wide range of sleeves whose improved design not only allows safer coupling between two elements, but minimizes the risk of leaks when driving liquids and gases between them. Moreover, most of them, due to their rubber composition, ensure a complete damping of the vibrations that could be affected by the content. Selection of various thermostats which, thanks to their reliability in detecting the temperature of the engine at any time, prevent or allow circulation of the cooling liquid from the engine to the radiator, moderating the temperature of the engine and avoiding possible overheating of the same. 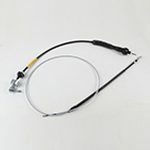 Wide range of control cables in the automotive sector. 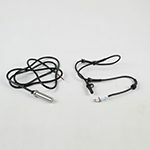 Here you will find cables that facilitate the operation of functions such as brake, gearbox or clutch, universal cables that allow the vehicle to start. 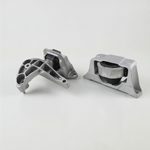 Selection of lower cups in aluminum and steel sheet responsible for collecting the oil that falls from the engine and contains it for continuous lubrication, obtaining optimal performance and avoiding future failures. Filters with a precise finish that trap a greater amount of impurities in the fuel, preventing them from reaching the engine and increasing its yield making them more durable over time. Moreover, among the range of filters Metalcaucho find the body of the complete filter, including, in some cases, the priming pump. 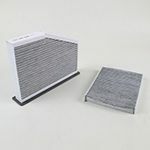 Filters that reduce or eliminate the impurities of the external air that enters in the vehicle. The material that composes them has been improved with activated carbon, giving rise to a denser paper able to retain much finer particles that could damage the health of the driver or its occupants. 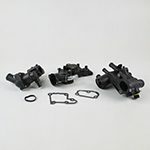 Distribution kit , thanks to their composition of elements, allows not only to synchronize the times of the engine, but also to open and close the exhaust valve and the ignition of the engine. 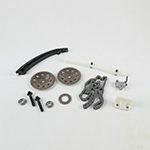 The chains of distribution kits offered by Metalcaucho consist of a chain (some kits include the chain for the oil pump), the toothed wheels (camshaft and crankshaft), the tensioner and the guides. Wide variety of rubber and steel tubes combined to avoid possible cracks or leaks of brake fluid. That’s why the Metalcaucho tubes ensure the correct transmission of brake fluid pressure, avoiding possible system failures. 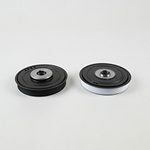 Selection of free wheel pulleys that, thanks to their innovative design, allow the alternator not to create resistance in the belt when the engine decelerates, thus reducing the vibrations, the wear and the noise that the belt would generate. 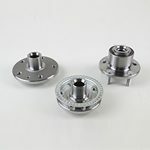 With these pulleys the correct transmission of electrical energy is guaranteed, which requires additional accessories such as air conditioning. 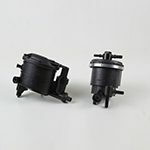 Pulleys that facilitate the movement of the auxiliary parts of the engine such as the alternator or the power steering pump. Morover, Metalcaucho pulleys combine the steal and rubber (dumper) for greater absorption of accelerations and the tension of the timing belt generated by the resonance of the engine. Since the final user’s safety for us is an essential factor, we have advanced sensors that can detect when the vehicle’s wheels are about to be blocked after a sudden braking, immediately reducing the pressure on the brake and avoiding the total loss of the vehicle control. 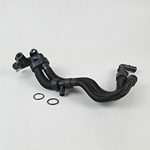 Improved supports firmly hold the exhaust system attached to the vehicle. 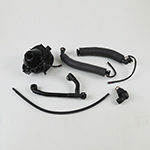 Moreover, thanks to the quality of the rubber that composes them, Metalcaucho exhaust supports isolate the entire system from possible vibrations and impacts that may occur during driving. Metalcaucho is committed to respect the environment and, therefore, has an advanced anti-pollution system through which a part of the exhaust gas is put back into circulation at the time of admission. 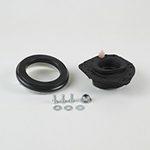 Here you will find a wide range of EGR valves that will reduce the amount of harmful gases emitted from your vehicle. 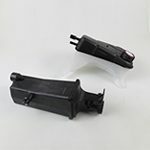 We have been creating spare parts and rubber and metal accessories for the automotive industry for more than 30 years, working with virtually all the international brands.